بني في 2012, East Hotel and Apartments هو ميزة مُضافة لـ كانبرا و خيار ذكي للمسافرين. يقع الفندق على بعد 6.7 Km من مركز المدينة، ويؤمن الوصول إلى أهم مراكز المدينة. سوف يعشق النزلاء موقع هذا الفندق، فهو قريب من أهم المعالم السياحية في المدينة كمثل ‪St Paul’s Anglican Church‬, ‪ACT National Trust‬, ‪Canberra Baptist Church‬ . إن الخدمات الممتازة وحسن الضيافة العالي في East Hotel and Apartments تجعل إقامتك تجربة لا تنسى. يقدم هذا الفندق العديد من الخدمات الكفيلة بإرضاء أكثر الضيوف تطلباً. يمكن للنزلاء الاختيار من ضمن مجموعة من الغرف المصممة بعناية لتعكس جواً من الراحة، والتي يتجاوز عددها 140. كما أن مجموعة الخدمات الواسعة الموجودة في الفندق لضمان راحتك تترك لك الكثير من الخيارات لقضاء وقتك أثناء فترة إقامتك. يحظى فندق East Hotel and Apartments بموقع ممتاز وخدمات يصعب منافستها. The hotel was modern and clean with spacious rooms. There is a nice breakfast cafe and bookstore as well. I didn't try the bar or other restaurant in the hotel, but it looked ok. It is an easy walk to several local restaurants. The room included a nice kitchenette with pots and pans, dishes and cutlery. The room was large, very comfortable, the amenities were excellent and we all enjoyed every other aspect of our stay, except for the fact that I booked a room for 4 people (my husband, myself and my parents) and I thought that it would be a two bedroom apartment but it turned out to be a single bedroom and the use of the sofa bed, so was slightly disappointed with that. Great room and super complete tools for cooking and eating. They provided us with a baby cot that is really comfortable to our 6.5 months old baby boy for FREE! The room has the city with a sunrise view every morning :) Big bed, thick sheets and great bath amenities such as shampoo, conditioner, and soap from the local organic brand. Only the staff that not perfect, we asked for butter from the first day and they just gave us on the 3rd day although we had informed via phone and directly meet the receptionist for the need. Stayed here for the first time on the weekend. We had a studio, which was comfortable, clean and a good size for a couple. Location was good - a close walk to the shops, cafes etc at Manuka. Had a drink and dinner at the KIngston Hotel, which was across the road. The Kingston foreshore was a 2 minute drive. Yes, would definitely stay here again. I found all the staff I dealt with to be friendly, extra helpful and generally a great reflection on this hotel. The location, amenities and general feel of the hotel were all exceptional. Highly recommend for a great stay! I wanted to celebrate my partners birthday, but we also have a 12 week old baby, so needed somewhere not too far away from Sydney. Canberra seemed like a good acid test only being a 3 hour drive away, and East Hotel looked like the perfect location. I chose to stay in a Luxe One Bedroom apartment so we had a bit of space just in case our little guy preferred we stayed in. I'm so glad I chose the East Hotel. The staff were super friendly, the hotel is elegant and funky, and the room was well equipped with everything you'd ever need. It's in a perfectly peaceful location with two great restaurants and a bar, though also just a short walk away from more great restaurants, cafes and bars. My partner even received a surprise bottle of bubbly from the staff at East Hotel for her birthday!! Would definitely stay again!! Would highly recommend staying here. The staff were fantastic. We arrived on an early flight and we went straight to the hotel to see when we could book in. From the minute I walked in the staff behind the desk were smiling and very friendly. Check in wasn't until 3 but they told me they would ring me as soon as the room was ready and they did! We booked in a lot earlier than expected, was upgraded and the room was fantastic! Really close to all the activities we wanted to do and everything we needed was on hand. Very happy with our stay, thank you so much. Nice apartment with a small kitchen, good location close to the Kingston restaurants and cafes, comfortable bed. Didn't like having housekeeping enter my room at 10:30am on a Sunday morning when check out wasn't until midday. Excellent reception staff. They were evry helpful and obliging. 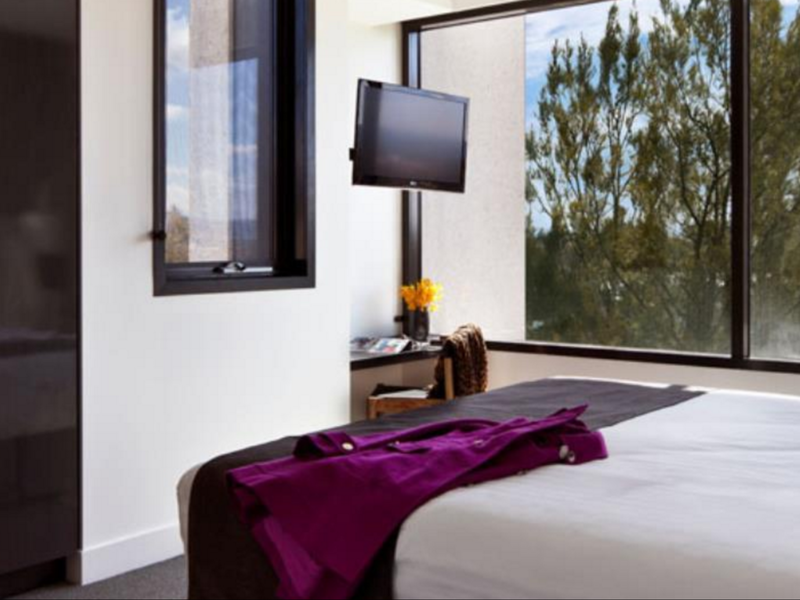 The hotel is in a great location close to the lake and shops in Kingston and Manuka as well as bus lines. The room is well equipped. Our only issue was that the room was not vacuumed in 6 days and there were small things like no plastic bag in the rubbish bin for food scraps. Otherwise it was a wonderful stay at East Hotel. The apartments are situated in walking distance to both Kingston and Manuka and there are great eating options is either suburb. The rooms were clean and well appointed. My only gripe would be the very small allocation of free wifi. It's 2016 and people expect to be able to use the internet without getting charged. This is my second visit and that probably says something in itself since there are so many good hotels in Canberra. 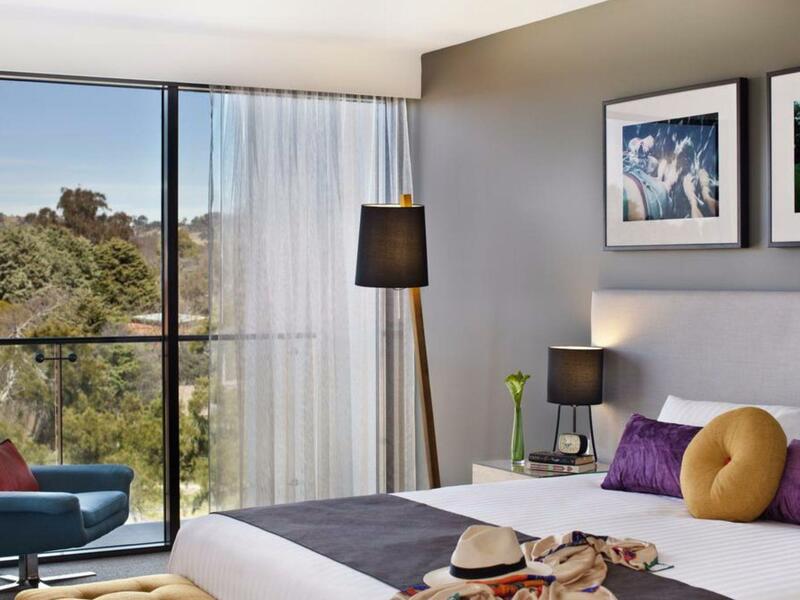 East is a lovely contemporary hotel and you fell absolutely welcomed from the first moment you arrive at the reception desk by its terrific staff. It's the little touches that really count- the lovely toiletries, Nespresso machine, superbly comfortable bed and complementary bikes at reception. Very close to Kingston and Manuka but really quiet if you just feel like holing up for a few hours. Really nice hotel. Had to stay in this large apartment due to a last minute mess up with another apartment . Great staff willing to help. Room was modern and with ample room for sofa bed and a rollaway not taking up any more space than it need too. Location was directly at capital hill with walking distance to restaurants and supermarkets Car park may require abut of cleaning once in a while. 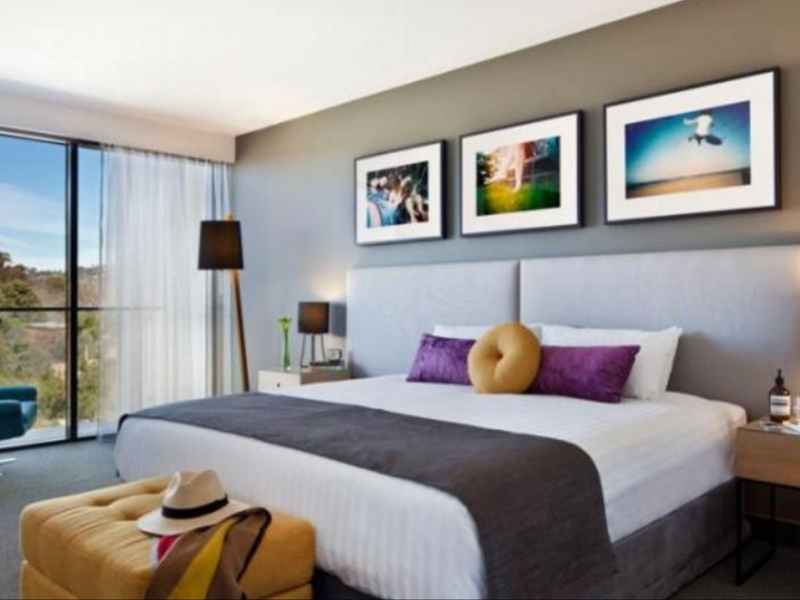 The East Hotel in canberra is a modern, almost funky hotel. It is well located away from the city centre but close to the trendy areas of Manuka and Kingston. 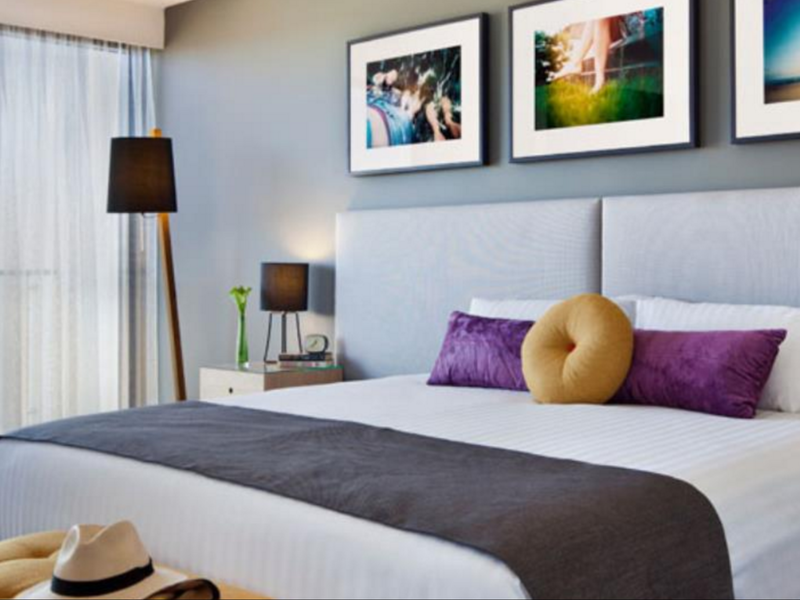 The rooms are well-appointed and are immaculate. The staff keep a low profile but when required are super helpful and friendly. The apartment I stayed in on Level 4 was beautifully appointed. The bath salts and robes were a nice touch. Didn't have the time to use the complimentary bikes but thought they were a great idea. Will stay again. 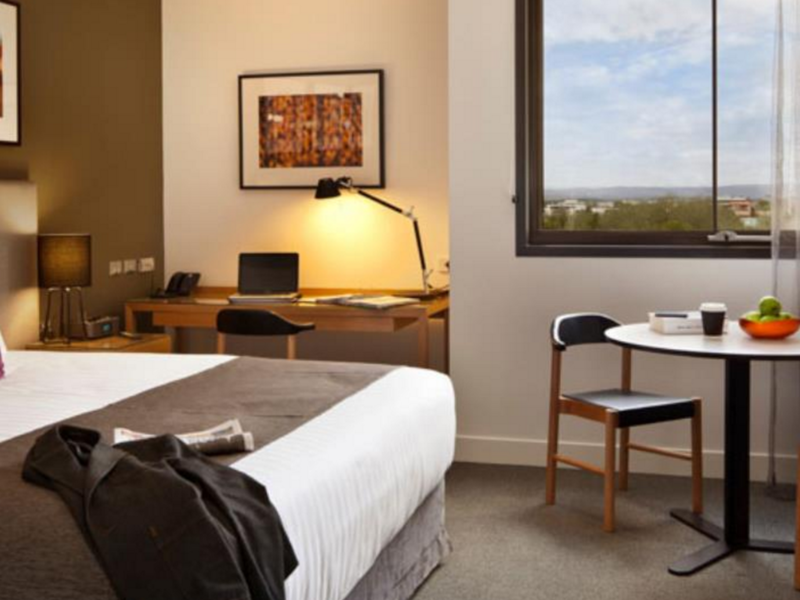 We booked our room as a quick and convenient overnight stay in Canberra. What an absolute little gem of a hotel. Perfectly located within walking distance to Manuka which allowed us to meet up with friends. Yet had we decided to stay in the restaurant looked amazing and the smell wafting through the foyer was hard to walk past. The coffee at Muse on Sunday morning was excellent - only surpassed by the friendly and engaging staff. Our room was comfortable; the bed very comfortable and the pillows .... where do I get one? Staff friendly, attentive and professional. 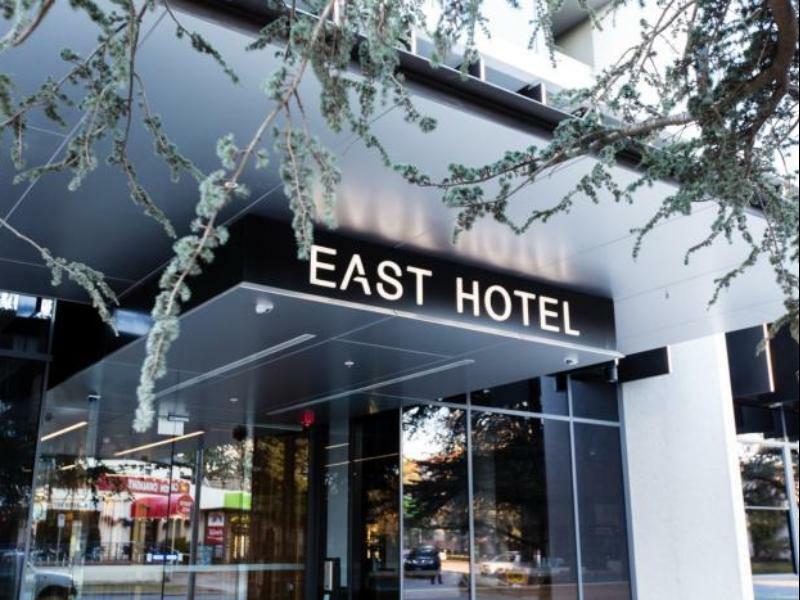 The East Hotel will be our new place to stay when we next visit Canberra. Have been in the airline industry both domestically and internationally for 26 years. I've seen them all. From the USA to the UAE, to Europe and Asia yet I had not seen them all that had it all that the East Hotel has. This hotel is now my global standard with superb staff, real people, amazing rooms and yes I have been on Instagram to show the world. Congratulations the the ownership team...all the incredible detail is mind blowing. No, not just a Nespresso machine, not just valet parking. What blew me away was when I couldn't get a hold of the front desk they rang me back as a missed call. The NOON checkout was spectacular and it's standard. One hotel recently had housekeeping at my door to the minute with fangs dripping with venom at 10am....not at the East. There is so, so much in terms of location and staff exceeding guest expectations yet I'd need a day to write it. Hyatt's Marriott's - all of them around the world. They don't really have the X factor of the East Hotel. Sublime.... Bravo! Everything about this hotel was fabulous-decor, staff, location, cleanliness. The restaurant / bar downstairs was also great. Only small downside was that you couldn't order breakie for room service, but plenty of great cafes nearby. We enjoyed our stay at East Hotel very much as it was proximate to the hubs of Manuka and the Kingston foreshore and close to Forrest where we were organizing an opera recital for Voci Stupende.We found the kitchenette convenient as I made sandwiches for our singers.Room size was very adequate and it was quiet as we faced Telopea Park.The bed was king sized and comfortable.The staff were charming. The late check out time was brilliant because we were able to step out for coffee then check out and go to our next matinee concert venue for a 2.30pm performance. Friendly staff, kid friendly and near silo bakery. Very friendly and helpful staff. I travelled with a 1 year old and they brought a box of duplo and crayons with paper to our room. Even gave us a bar of chocolate. Hotel staff recommended silo bakery just down the road for pastries and it was awesome. Would stay there again if in Canberra.